Two prototypes of the HP.31 Harrowwere ordered as competition for a two seat fleet torpedo bomber/reconnaissance aircraft to replace the Blackburn Dart under specification 21/23. In their initial form a 470 hp Napier Lion was installed. As a result of experiments with the second machine, N206, the first, N205, was rebuilt as the Harrow Mk.II, initially with a 630 hp Lion XI and then a slightly more powerful Lion XA. These engines had rear mounted carburettors which allowed an improved nose profile. 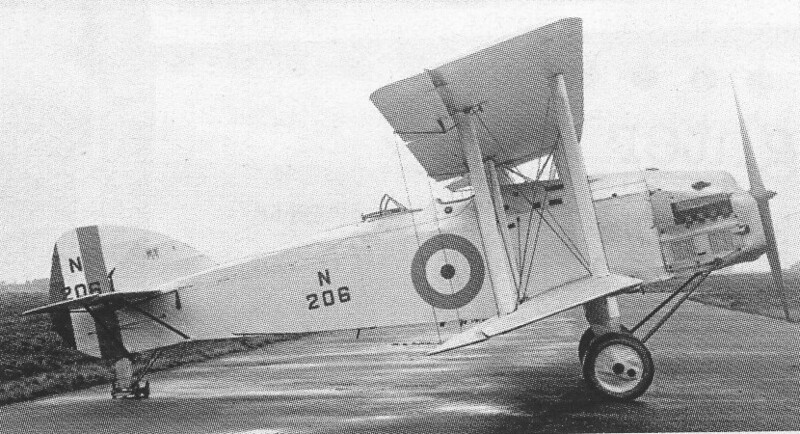 Following trials at Martlesham Heath in landplane configuration, N206 was fitted with floats in March 1928 followed by trials at the Marine Aircraft Experimental Establishment at Felixstowe, and was demonstrated to the Finnish and Argentinian air attaches. It was eventually written off as unfit for RAF service as a seaplane. The competition was won by the Blackburn Ripon in June 1927. Experiments continued towards a revised Harrow.